OMG Posters! 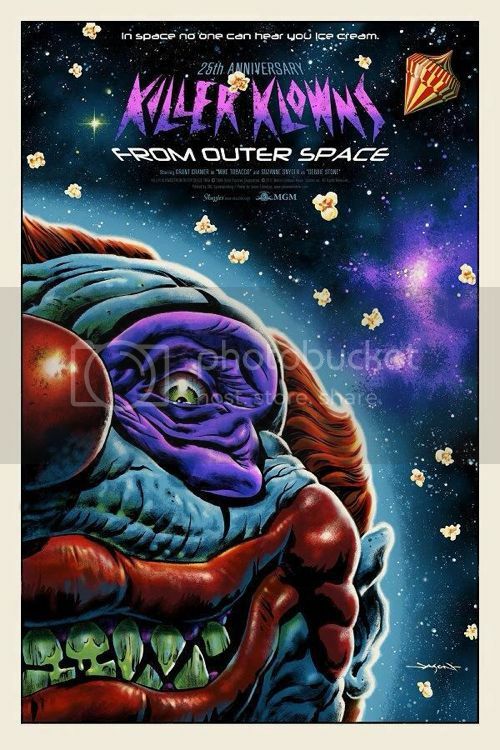 » Archive Killer Klowns From Outer Space Poster by Jason Edmiston (Onsale Info) - OMG Posters! Wow, Jason Edmiston really made seven colors look like 10+ here. His Killer Klowns From Outer Space poster is a 24″ x 36″ screenprint, has an edition of 165, and will cost $45. The variant has an edition of 75 and will cost $60. These go up today (Friday, January 25th) at 12pm Eastern Time. Visit Skuzzles.com.